COMMENT | Communications and Multimedia Minister Salleh Said Keruak claimed “the opposition coalition can never match BN, which has a track record of cooperation between the different ethnic groups and tolerance between its leaders, without compromising party principles”. This brings us to the question of what exactly are Umno’s principles. We know from the National Civics Bureau (Biro Tatanegara, BTN) courses that Umno’s principles are an unholy brew of racial supremacy, religious bigotry and corporatism that was endorsed by a compliant Malaysian polity, resulting in a cascade of religious and racial issues that compromised every facet of government. With the ouster of the charismatic, jailed political prisoner – Anwar Ibrahim – from the Umno fold, the contemporary Umno narrative is one of loss of power and influence by attrition. While the non-Malay component parties of Barisan National scramble to discover their relevance in a post-Pakatan era, the reality is that their days of being handmaidens to Umno warlords are over. 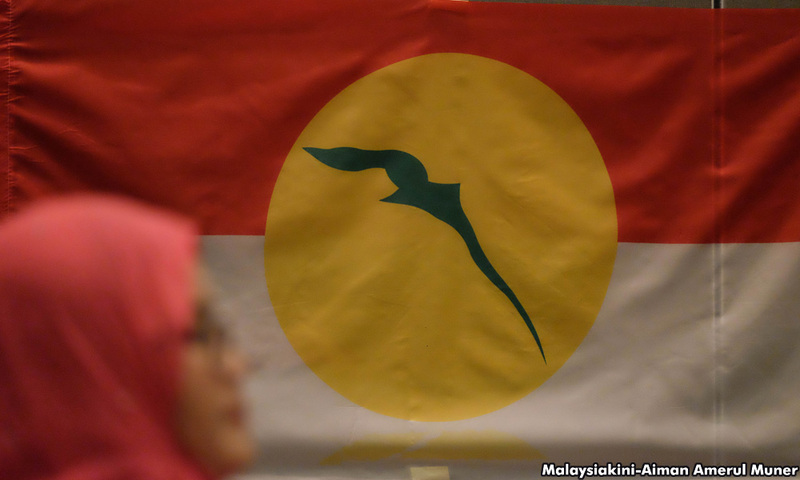 Most non-Malay opposition supporters have realised that it is better to have no representation in an Umno Parliament than the compliant non-Malay representation that the traditional mainstream component parties represent. The Chinese community has borne the brunt of the dark art form of the propaganda warlocks of Putrajaya, but what has really rattled the Umno hegemon is the split in the Malay polity. While their former master strategist – Dr Mahathir Mohamad – has thrown in with the opposition, the only viable Malay/Muslim political party left is PAS. And those folks are really kooky. When you have Umno members, ministers and the prime minister claiming that the Chinese would usurp the power of the “Malays” if the opposition ever came to power, this is the very definition of racism. When you claim that “Islam” is under siege by make-believe non-Islamic bogeyman, this is the definition of religious bigotry. Because the Registrar of Society (ROS) is playing coy with the DAP by not officially asking them to hold re-elections and there is an established chain of events that point to a conspiracy between the executive and a public institution, the only conclusion any rational person can make is that Umno and ROS are acting mala fide against the DAP. When you consider the racist rhetoric coming out of Umno power brokers, government ministers and government institutions, the religious bigotry from the same, Umno should just drop this charade of democracy and ban all non-Malay/Muslim political parties. This way, the Malay community, or least that section of the Umno voting base, will not have to be encumbered by the existential threat the non-Malays supposedly pose to their “bangsa” and “agama”. If banning the DAP is not enough, they could also partially ban PKR, since it has non-Malay members and this could possibly pose a threat to Umno/Malay hegemony. However, even if you ban non-Malay/Muslim political parties, the problem persists in that the non- Malay polity will still vote. If non-Malays vote, what is stopping non-Malays from voting for opposition candidates who do not support the policies of Umno? If the Malay vote is split, then non-Malays, especially in the urban areas, may cast their vote for independent non-Malay candidates. So, perhaps the answer is banning all non-Malay/Muslim candidates. But – and this is an important “but” – non-Malays who do not have a choice of non-Malay candidates may vote for Malay candidates who do not support the polices of the ruling hegemon. These Malay politicians may become proxies to non-Malay interest and in this way, subvert the policies of “bangsa” and “agama”. This would also mean that the utilitarian value of the non-Malay component parties would be non-existent. If it is true that non-Malays would rather have no representation than representation of BN component parties, then the fig leaf of inclusion could be discarded. There would be no need to govern by consensus. Instead, Umno could rule by fiat. This would mean that, in order for Umno to safeguard the “Malays” and “Islam”, the only candidates that should stand for elections are those Malay candidates who support the policies of Umno as they relate to “bangsa” and “agama”. But how does a political hegemon ensure that people vote in the “correct” way? More importantly, how does the hegemon ensure that the “correct” candidates stand for elections? So, what Umno really needs are only Malay candidates who support its policies and a voting public that would vote the correct way. There are only two options, as I see it. (2) Just cancel democracy and have members of Umno vote in their candidate. Of course, by this time there would be no need for the non-Malay vote and by this, I mean that non-Malays would not have the vote. As long as Umno members continue their racist and religious bigotry against the DAP and, by extension, all non-Malays, these are the only two options to the logical conclusion of our fascist end.